What most fans do not realize is that Moses’ dream was born in the early 1980s. He was on a 'pit crew' by the time he was just three years old. 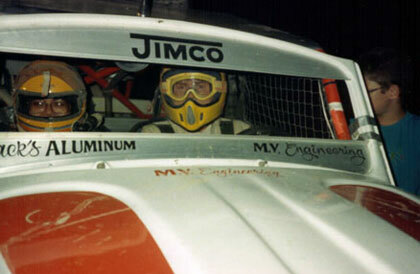 He and his father, Paul would work long hours at the race shop of Off-Road Racer Malcolm Vinje*. There he learned all about desert racing by working on the Baja 1000 Class 5 and then Class 7S race machines. Moses’ family outings in the Southern California deserts further his interest. The thrill of his own three-wheeler and his father’s dune buggy fueled Moses’ love for going fast. Unbelievably, before the age of ten, Moses had progress in his race crew duties to include driving the chase vehicles from checkpoint to checkpoint solo. The youngster’s feet could barely touch the Baja Bug’s pedals, but that did not discourage him as he focused on pushing that clutch in far enough to shift smoothly. Moses Smith began his racing career in the extremely competitive Southern California Karting Region. Moses clearly set himself apart from his competition both on and off the track. Winning the California State Championship and the SDKA Junior Sportsman Championship proved his on track abilities, while also holding the prestigious title of the youngest member of the famed San Diego Karting Association Board of Directors. With karting accomplishments in hand, Moses worked to further his motorsports goals. Moses moved into full size race cars the hard way. As a mechanic for the Skip Barber Racing School and other prominent professional race teams, the young driver was able to learn the intricacies of the sport while biding his time to get behind the wheel. The opportunity was not far off. In 2000, Moses got his career break competing in a limited schedule of Formula Mazda (FM) events. Moses parleyed that limited schedule into become one of the top Formula Mazda drivers on the pro circuit. 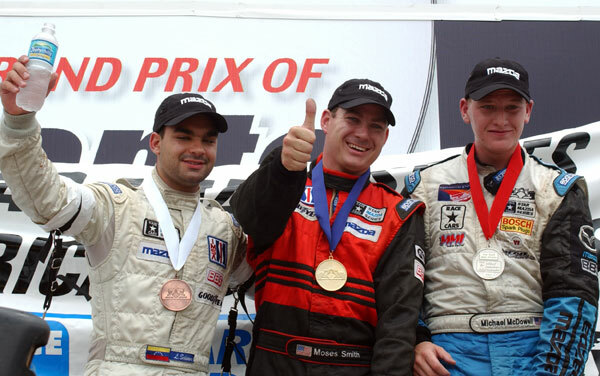 In 2002, Moses missed winning the North American Star Mazda Pro Series, by just one point. However, he won the Star Mazda West Coast Championship. In 2003, Moses tested in the Toyota Atlantic car and entered an Infiniti Pro Series event. Never one to stay stagnant, Moses became a Star Mazda team owner in 2004. He opened his own online store in January of 2006. In September 2009, Moses acquired all support and manufacturing rights for the approximately 300 Formula Mazda rotary-powered race cars currently in use across North America, as well as the MSR sports racer, a full-bodied version of the FM. 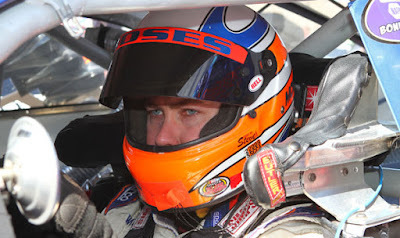 From 2007 to 2011, Moses competed in the NASCAR K&N Pro Series West. He finished third in the championship points standing his last season. Further, he was voted the series Most Popular Driver in four consecutive years! Moses Smith sits in his #16 Hasa Pool Products K&N Pro Series West car. Moses’ long history in the sport of racing has not dampened his excitement and eagerness. You can follow Moses and the team as their #1409 Sportsman 1400 competes in the 48th Baja 1000 by following it via live streaming at http://score-international.com/baja-1000. The challenging course will start and finish in Ensenada. 2001 Star Mazda West Coast "Rookie of the Year"
*1982 CLASS 5 Champion - Malcolm Vinje/Mark Hansen; 1996 CLASS 7S Champion - Malcolm Vinje/Mark Hansen; 1999 CLASS 7S Champion - Malcolm Vinje.